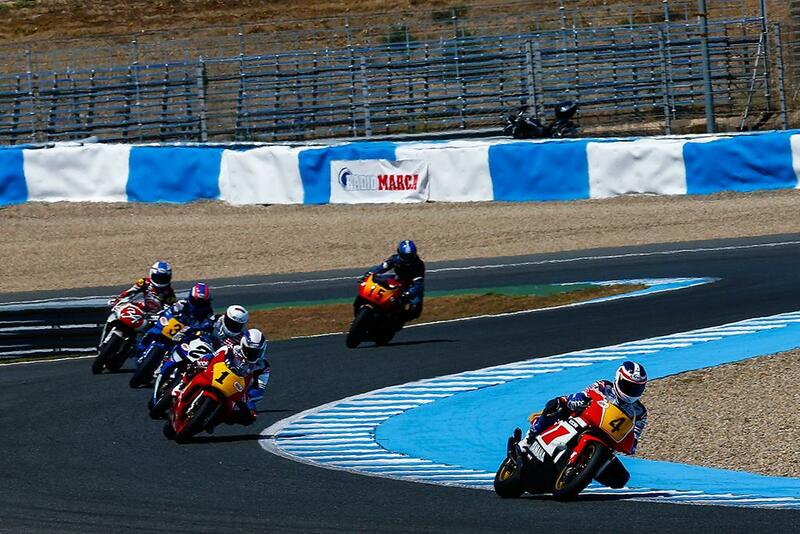 Wayne Gardner, Freddie Spencer and Kevin Schwantz took a win-a-piece at this weekend's inaugural World GP Bike Legends at Jerez. 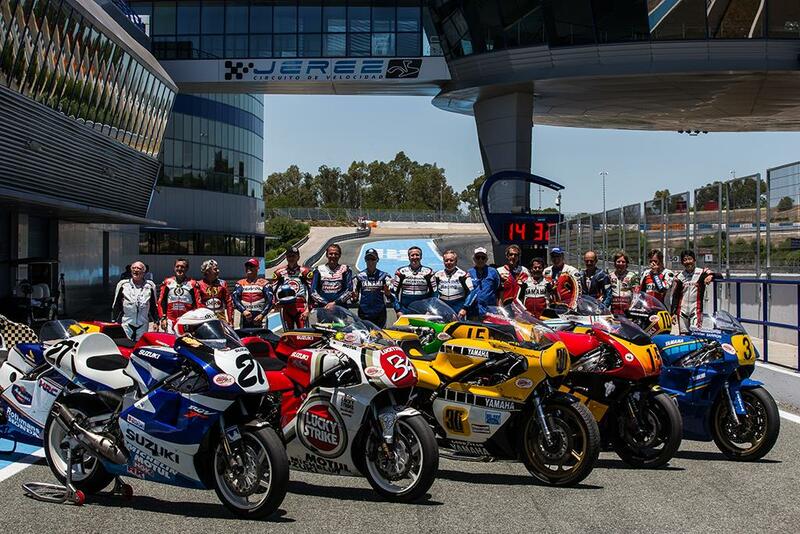 Riding 1970s, 80s and 90s factory 500cc V4 two-strokes, the former world champs were joined on the grid by fellow 500 stars, Christian Sarron, Phil Read, Graeme Crosby, Didier de Radigues, Steve Parrish and Jose Luis Cardoso. The legends’ factory 500 machines were donated by a handful of generous private collectors, including Chris Wilson and Steve Wheatman. Schwantz rode his '94 Lucky Strike Suzuki RGV500, while Gardner and Spencer swapped their Honda NSR500s for an '89 Cagiva C589 and an '88 Yamaha YZR500. 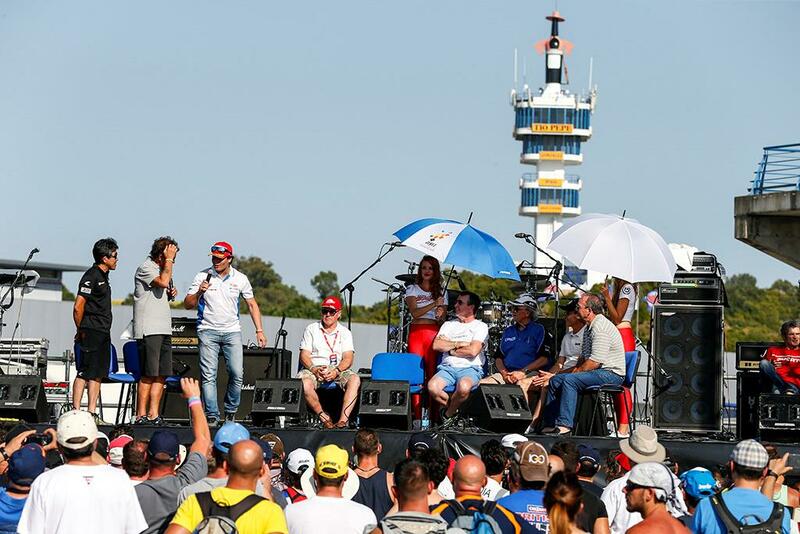 As well as three, seven-lap 500cc Legends races, including qualifying and free practice, fans, who travelled from all over the world to the Spanish track, were treated to a festival celebrating the modern two-stroke Grand Prix era. 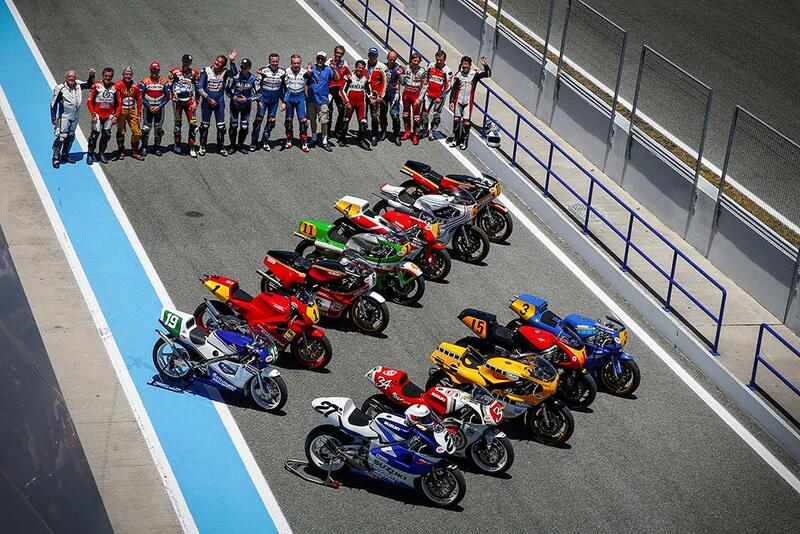 125 and 250 legends races included the likes of Carlos Lavado, Tady Okada, Carlos Cardus, Angel Nieto and Jorge Martinez. 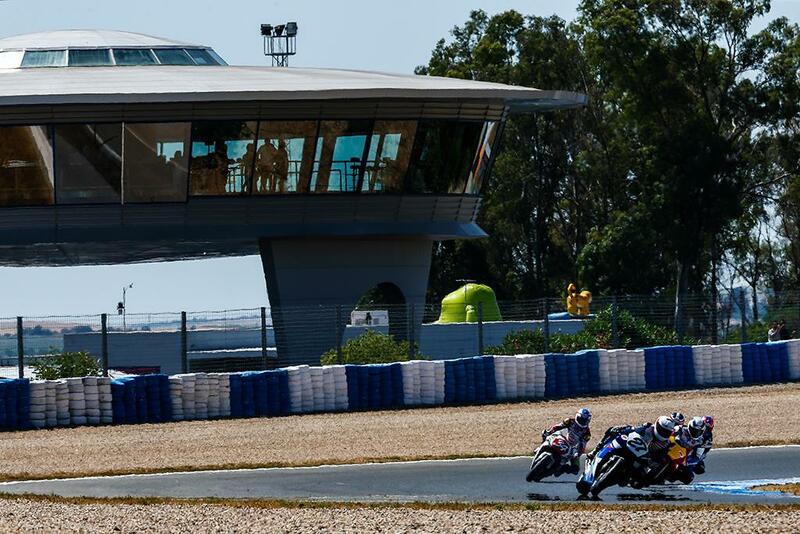 The main support race was the International Classic Grand Prix and Scot, Ian Simpson won both races on his Yamaha TZ350. Off-track entertainment included modern classic bike displays, barbecues, stunt shows, trade stalls and festival-size rock stage, which saw Toseland and Bonnie Tyler headline on Saturday night. 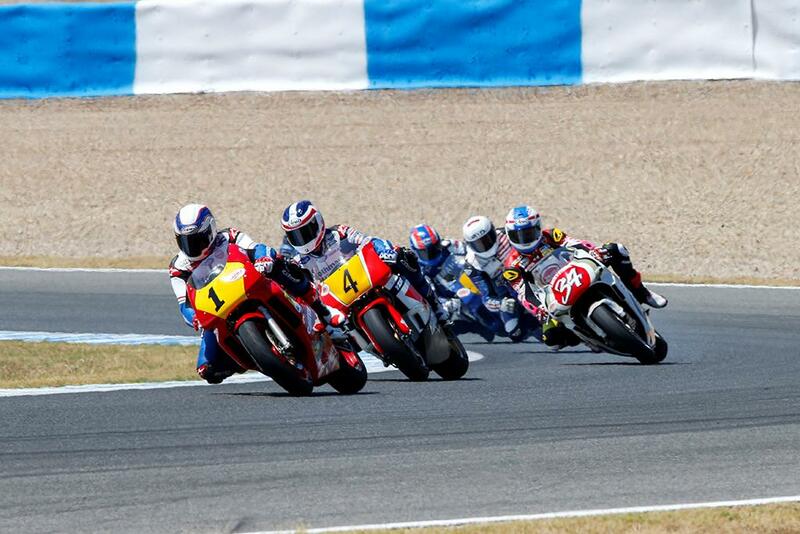 World GP Bike Legends is the brainchild of ex-500cc World Champ, Wayne Gardner and the same people who run the hugely successful Silverstone Classic car event. They hope to roll out GP Bike Legends to circuits around the world next year, including the UK, as Gardner explains: "It's a dream come true. I've been involved from very early on in this project and it's so good to see the fans meeting their heroes and watching these amazing bikes again. "Winning feels as good as ever, but just to be out there riding with all these guys is amazing." Senior Road Tester Michael Neeves took part in one of the 500 Legends races on a Kawasaki KR500 and his full report of what it was like to ride with the gods will appear in MCN soon.